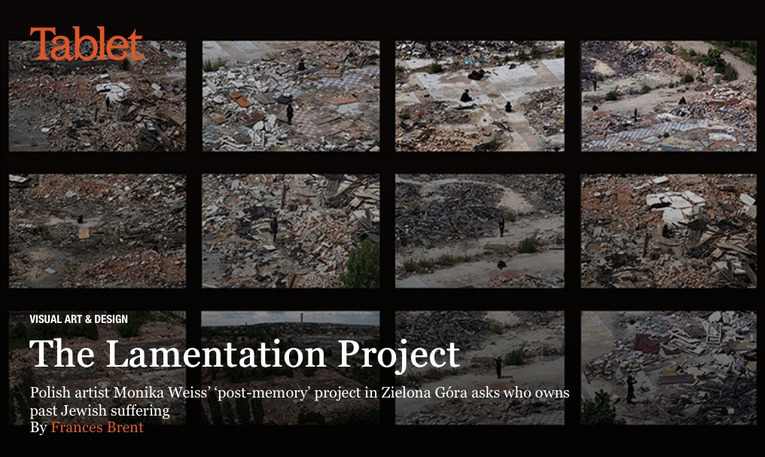 [Weiss] “is interested in projects of commemoration and memory, raising questions about how an artist—not a witness or a survivor—should react to the traumas of history and what constitutes post-memory. In Poland, […] there’s excruciating sensitivity about memory of the war years. To whom does memory belong? Who has the right to respond to it? 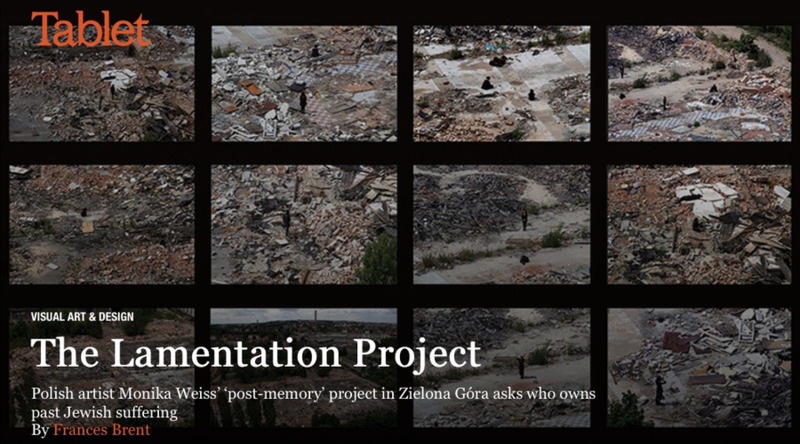 In 2011 […], the local museum, BWA Zielona Góra, invited Weiss to do a project. As she said to me, “[…] I saw in my imagination: An artist comes and makes a project on the site of a concentration camp—there’s something horrible about it.” Rather, because she saw that it was abandoned, she decided to invite a group of young women from the area to inhabit the space as lamenters in the classical tradition, sitting, standing, lying down, feeling the discomfort of the ground with their bodies, marking the absence of what was once there. "The title’s shrouds do not heal, do not dress, and do not calm. They are signs of memory’s clinical death, a condition where we are still able to turn back"